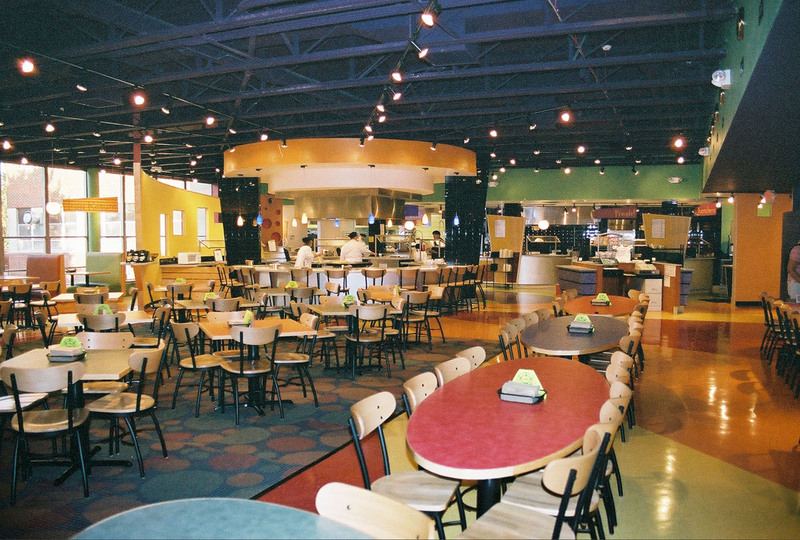 The word “cafeteria” has nearly become blasphemous among the students and staff at Webster University. 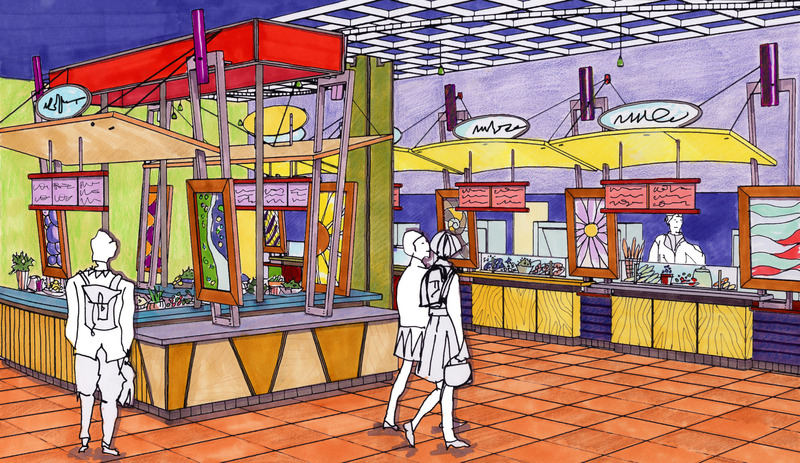 This old institutional-style cafeteria was reinvented and replaced by new vibrant dining commons featuring an exciting scattered dining station plan – moving away from traditional stainless steel food counters. 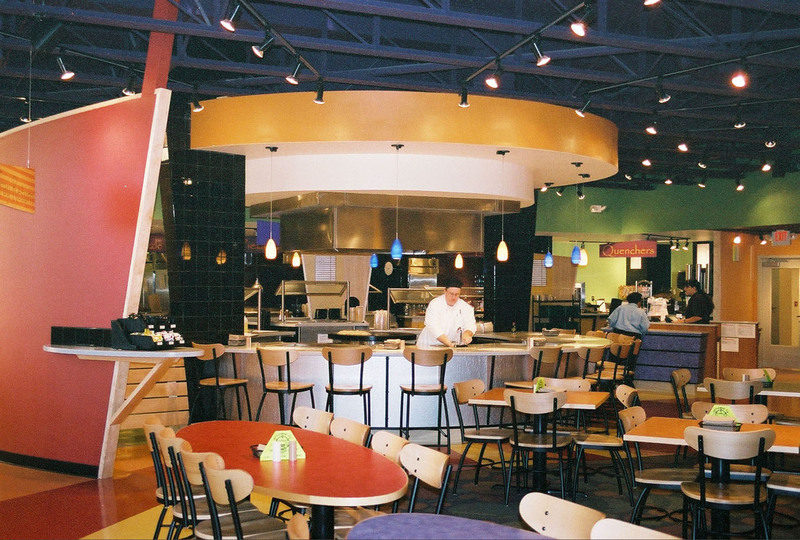 The idea was to create a more interactive series of restaurant like choices – highlighting the choice and variety available to student’s taste buds – including a showcase Mongolian grill. 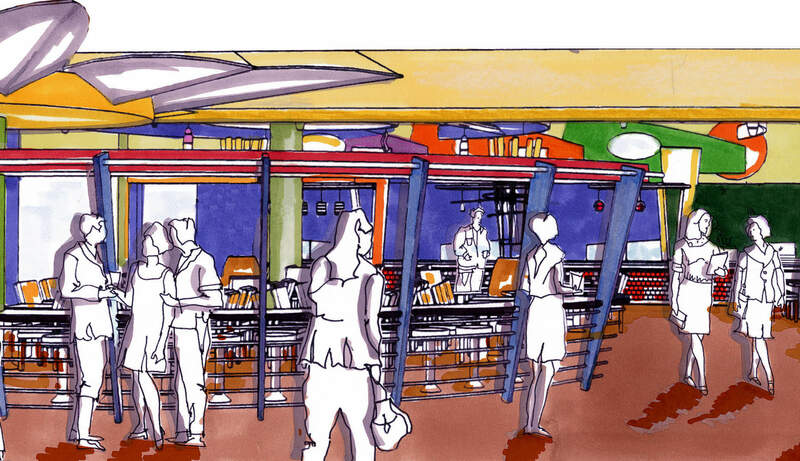 Seating environments feature personal choice for students by providing variety in seating style and room settings. 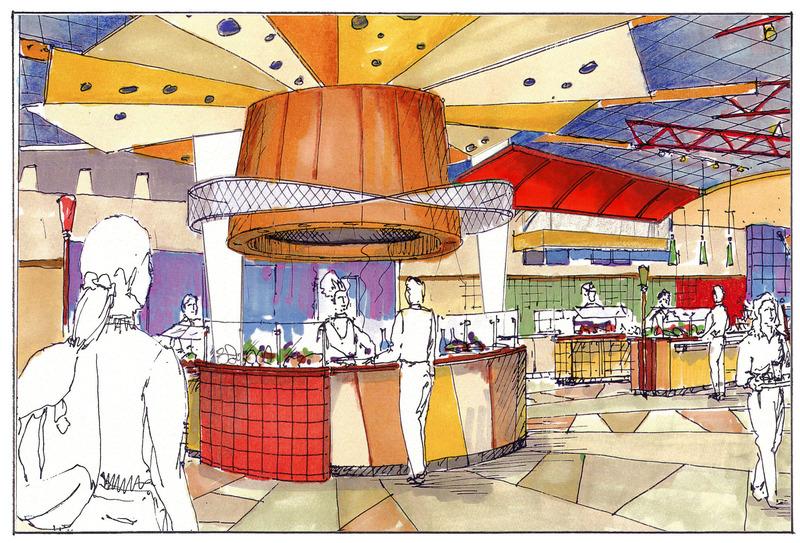 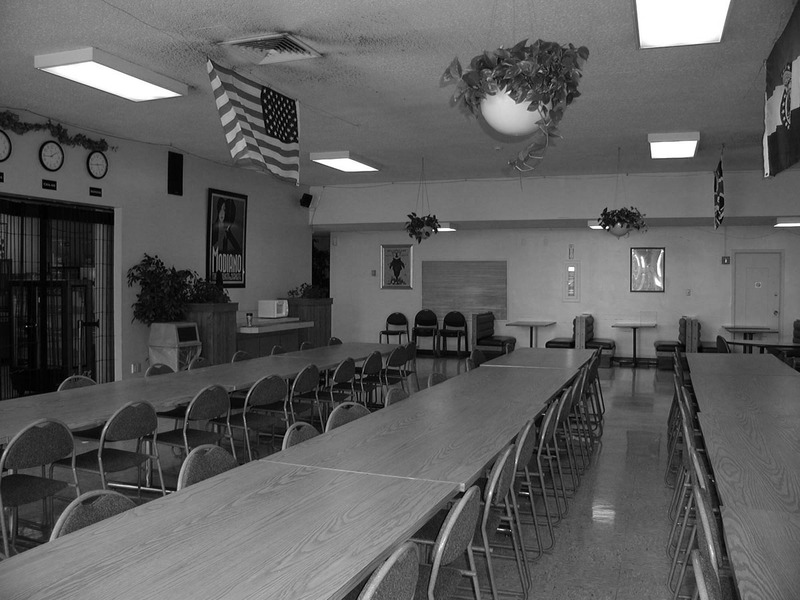 Gone is the day of the monolithic, anonymous cafeteria aesthetic. 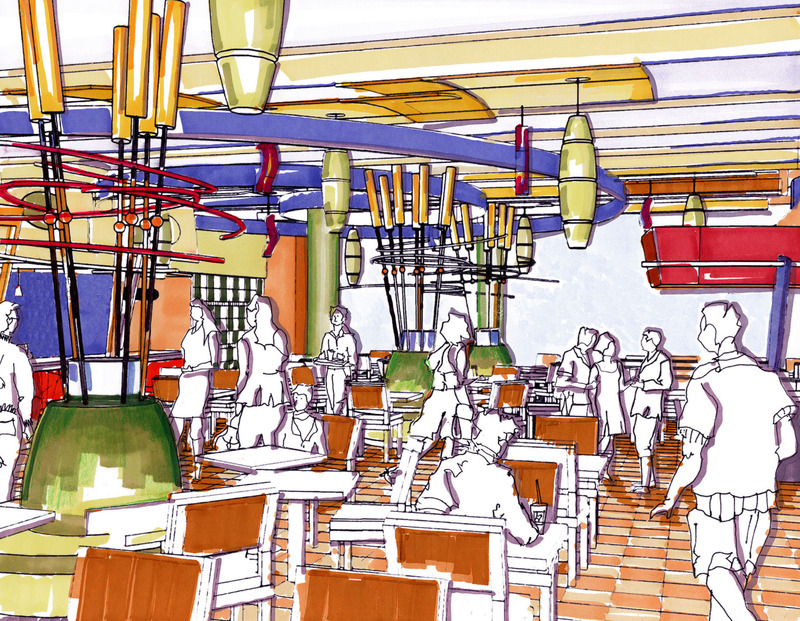 This becomes destination dining, with new opportunities for social gathering, entertainment and study.